Showing results for tags 'sweetie belle'. There comes a time when one has to accept she isn't a little filly anymore. 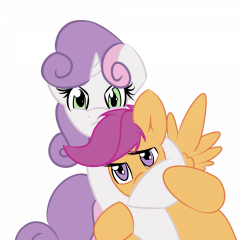 Another week which means another episode full of the adorable ponies we all know and love! 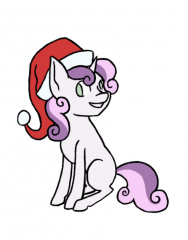 And who is more lovable and especially adorable than Sweetie Belle!? 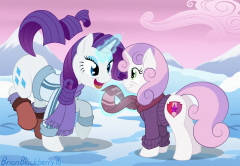 Of course, she isn't the same little filly she used to be, and we've all watched her grow up through the seasons, but has Rarity realized this yet, or does she still see her little sis as the same adorable, squeaky foal we first meet waaaay back in season one? Tune in to find out! The episode airs Saturday 11:30 AM EST on May 13th!! This thread is dedicated to discussing the episode before, during, and afterwards. As the thread is now open it may indeed contain spoilers (especially since this episode aired last week in Canada). I ask that potential spoilers talked about or shown before the episode airs stay within the spoiler tags please, after the episode you no longer have to use the spoiler tags, but warning, if you haven't seen the episode yet after it airs, this thread no doubt will have all sorts of spoilers in reviews, images, etc. So tread at your own risk. Technically it's legal! Especially since we write the laws! It is time to once again sit back and watch adorable ponies do adorable things! Well Raritember is over and it is time for a new month with a new focus! What is in store for October? Well the first clue was given to us in the last episode (and well, the title). 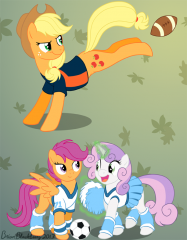 The CMC return, but what will Sweetie And Abby do without their big sisters for the Sisterhooves Social? Will stallions finally be given the right to vote? Will Equestria find gender equality?Tune in to find out! The episode airs Saturday 11:30 AM EST on October 3rd! This thread is dedicated to discussing the episode before, during, and afterwards. As the thread is now open it may indeed contain spoilers. I ask that potential spoilers talked about or shown before the episode airs stay within the spoiler tags please, after the episode you no longer have to use the spoiler tags, but warning, if you haven't seen the episode yet after it airs, this thread no doubt will have all sorts of spoilers in reviews, images, etc. So tread at your own risk. It's been a few months since I last used my tablet for anything, so since I couldn't sleep tonight I decided to break it out and do SOMETHING for the holidays. This was the result. Happy Hogswatch! 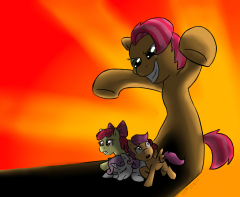 Class was in session, and few fillies were as generally excited as Apple Bloom was to go to school. It was a nice walk and she was a fan of nice walks in the countryside and town that was built around it, the gentle air and smooth breezes exchanging pleasantries as she gaily trotted along. It was a small school meaning only a single class for her grade but that was dandy, since she liked her classmates for the most part. That small class forced them together like a bunch of sardines, though these were nice smelling and sapient, living sardines and not being eaten by some cruel griffin like in the tales her sister would tell her sometimes before bed. Sure there were some meanies like Diamond Tiara, but she had some great friends and others who she got along with. It was generally a fun time. 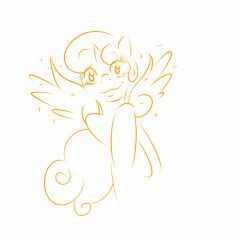 Her teacher was super special, Miss Cheerilee being the smartest and nicest mare she knew of. There may have been smarter, Twilight Sparkle seeming to fit the mold, and nicer, what with Pinkie Pie being a real living creature, but nopony combined those two qualities as well as she did to form a patient and loving teacher that taught more to her foals in their failures than anypony else could in success. She loved going to school and learning from her as long as it wasn't something too entirely boring, as Apple Bloom knew when she got bored her mind drifted. She considered herself a smart pony, but if Cheerilee started talking about ancient languages or something equally dull she was rather willing to lapse into the schedule for the post-school crusading. 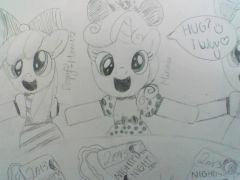 Wasn't a slight against Miss Cheerilee, she just doubted that anypony could make some subjects interesting. Math was fun though! She finished her trot as she reached the school and cantered about into the classroom, which was starting to fill up with her likely just as excited classmates. She got to her desk and tossed her saddlebag onto the her desk and took a look around. Today was going to be great day! Done for another website, I just reposted the picture here sans the site's URL. 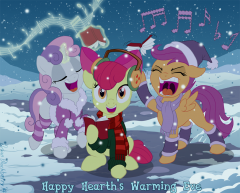 Makes for a decent general campfire picture of the ponies from Sleepless in Ponyville. Hope you enjoy my 5 minute sketch! Been a while since I drew anything Scootabelle related. Also comic. Uploading this one here too cause LOOK AT DAT PRECIOUS FACE ABOOBOO <3 <3 If I still like this idea by this weekend I'll make a blog out of it. © Use as you want, but don't try to make money off it. The Hasbro lawyers will come for you. "More ScootaBelle from Kryptchild? How original..." Shut up I've been sick.